With a line-up as sick as the one at the MTV Music Awards, it began to make sense to this writer why the show was relatively tamer and more classy than past years’ (though some may claim said ‘classiness’ was forced and fabricated). The musicians present truly stole the show; and rightfully so, given how MTV is seemingly forgetting its main raison d’être as of late: music. 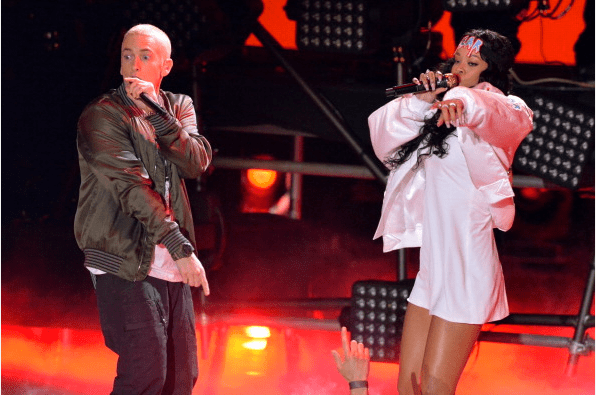 A-list performers such as electronic music’s biggest acts Zedd and Ellie Goulding, the ‘rap god’ himself, Eminem, and Barbadian bombshell Rihanna headlined the awards show held at the Nokia Theatre on Sunday evening (US time). 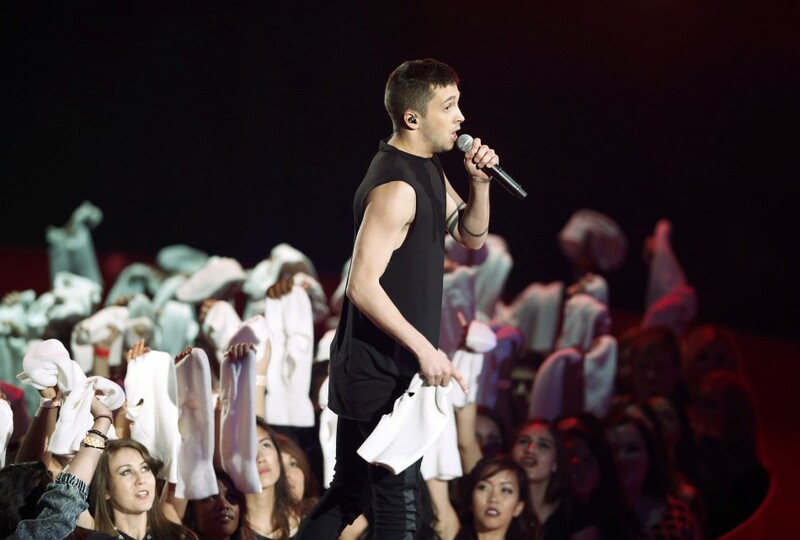 In addition, new kids on the block twenty | one | pilots played the awards show, further cementing their steady rise to fame. Rock-and-a-little-bit-of-everything-else duo Twenty One Pilots was the first of the musical acts for the night, right after Jonah Hill received his Popcorn for Best Comedic Performance. 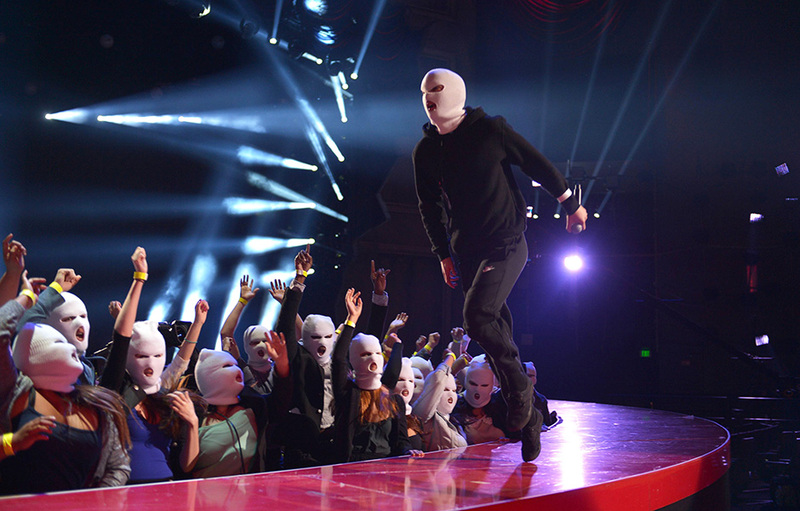 Offering up a fierce rendition of their latest single “Car Radio” from their third studio album “Vessel”, their part-rap, part-performance-art set saw frontman Tyler Joseph slip on a white ski mask before joining the masked crowd in the mosh pit. 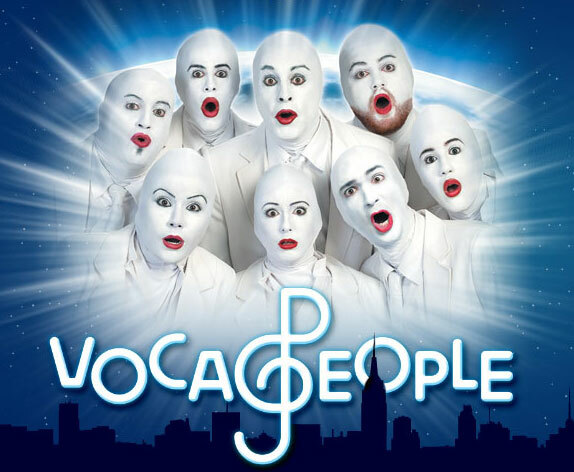 While all this might be some arty-farty tangent about carjackers, especially with a song about a “stolen car radio”, you can’t deny how this sorta looks like a Voca People fanclub meeting. The night’s biggest performance was scheduled unusually early, but RihRih probably couldn’t wait to hit the bar at the post-party after. 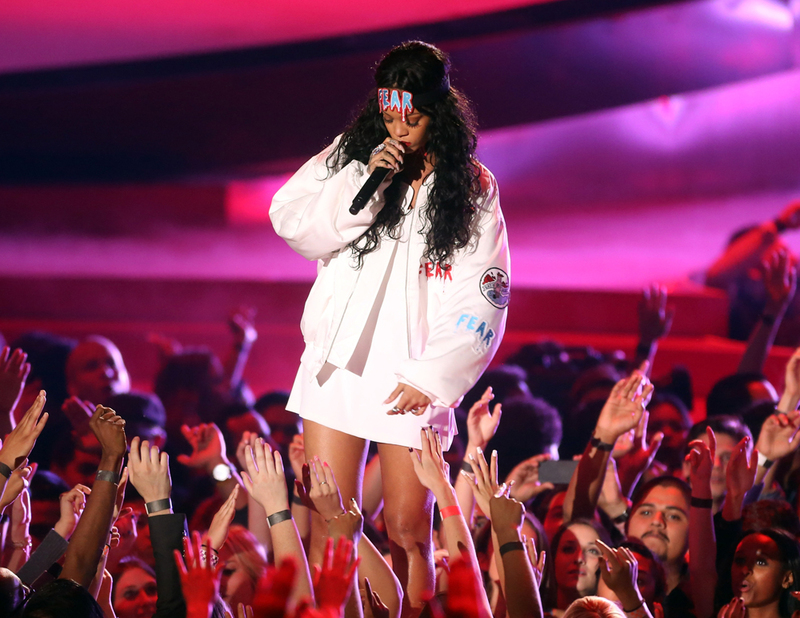 The first televised performance of “The Monster” saw an unusually-on-point Rihanna strut confidently around the stage belting the memorable hook from the chart-topping collabo. We don’t know what she’s wearing either but hey, girl has enough swag to carry off even a turkey costume. Small matter here but I do have a small complaint for their sound engineer: Eminem’s mic was wayyyy too low at the beginning and throughout the song. Boo. Perhaps the climaxing riffs from Ellie Goulding’s “Beating Heart” from the “Divergent” soundtrack proved too elusive for the British songstress to execute live, or maybe the organisers just wanted to lump all the EDM segments (or “that loud music” to the myopic, out-of-touch execs) into a five-minute set just to get it over with, but either way, both Zedd and Goulding should have had their own full sets. 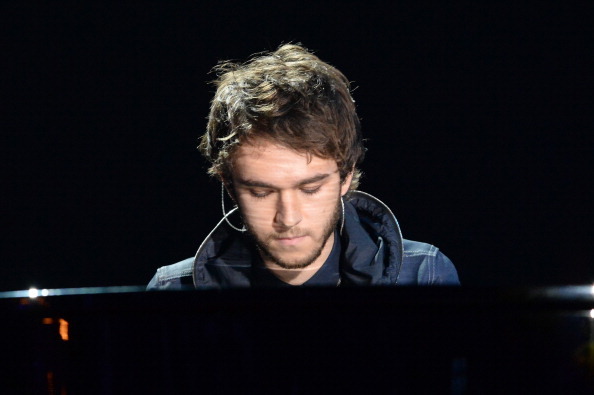 Electrohouse star Zedd showed off his classical training by taking to the piano, accompanying Ellie for her latest single, “Beating Heart” off the “Divergent” soundtrack. Goulding’s signature breathy vocals were to take centre stage for the first (and only) stripped-down item of the night. Ellie (who looked mighty fine, by the way) then gracefully glided down the stage, with Zedd making a mad dash for his usual weapon of choice: the turntables. Like a well-rehearsed quick change, the set transited seamlessly into the DJ’s latest work: “Find You“, with featured artists Matthew Koma and Miriam Bryant. Pyrotechnics closed the final musical number of the night, as seen in this .gif below. Honestly, all the artists invited to perform were stellar. My only gripe, though, lies in the really annoying fact that world-class rappers/artists like Nicki Minaj, Iggy Azalea, and Rita Ora were present but were not scheduled to perform. What an absolute waste. Stay tuned to our website as we bring you the complete list of winners PLUS our red carpet review AND our thoughts about the night’s music performances before the Asia telecast of the show at 8pm (WIB), 9pm (SIN/HK/PH), 10pm (MAL)!